Message labels are used everyday in transport, storage, warehousing and many other areas for communication, identification & advertising. 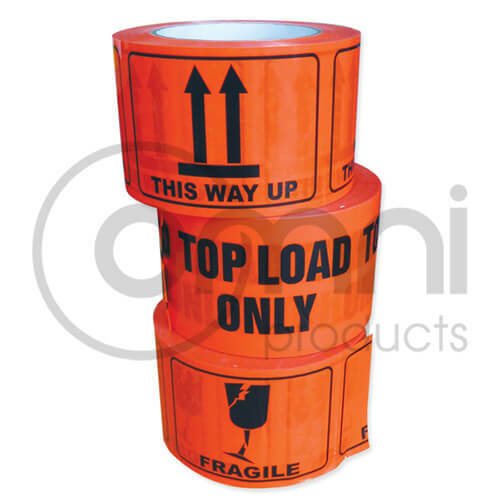 Omni Group can custom make any label you require – please enquire today! Ripper Labels: printed plastic labels with a perforation between each label so it be teared off easily and quickly. Custom Printed Tape: packaging tape printed with a message or logo which is the most cost effective way to advertise. Thermal Labels: printer labels for printing connotes and warehouse labels. Also known as Zebra labels. Laser/Copier Labels: A4 paper labels for printing through a desk printer.